The blog update is going faster than I expected and I think I will be done updating all the posts and the layout before the date I told all of you. So I have decided to give you the details for the contest to win a brand new copy of "The Singles Collection" Box Set. Anyone can enter regardless of where you are located. 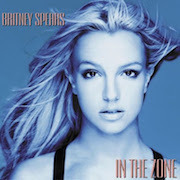 There are 10 questions that you must answer correctly and e-mail to me at admin@mybritneycollection.com before the deadline which is Friday, July 30, 2010 at 12:00am. Any e-mail received after that will be disqualified. Make sure you put your name and where you live in the e-mail as well the list of all the questions with their answers in the same order as listed below. I will let you know if any of your answers are wrong so you can submit a new e-mail with the right answers. The first 25 e-mails with the right answers will be entered into a raffle and the winner will be announced here at the blog on August 1, 2010 and the winner will also be contacted through e-mail. What are the names of Britney's 3 latest tours in the USA ? 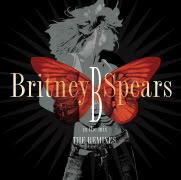 What is the 24th single released by Britney, its release date in the USA and the number of weeks it spent on the Billboard Top 100 chart? What are the videos that were not included in "The Singles Collection" DVD? What is the name the font (type-style) used on the cover of the "If U Seek Amy" Single? PS: Leave a comment on this post if you have any questions regarding this contest. sadly i dont think i know some of the questions :/ this is the only britney thing cd wise i dont own!